Will The P686,000 Volkswagen Santana Be Your First Eurocar? Our local car market, which is dominated by Asian brands, wouldn't lead you to expect that the largest car manufacturer in the world is actually the Volkswagen group. 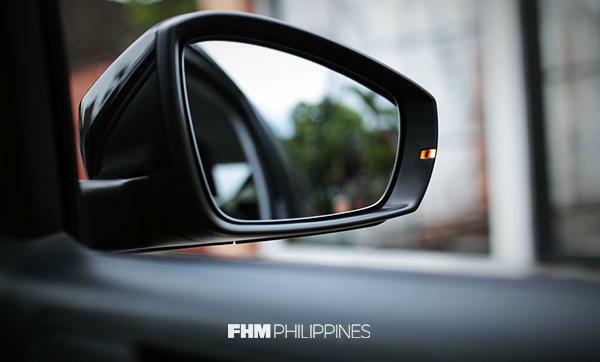 The marque's recent Philippine revival was met with some success but it was still priced too high for first-car goals. Besides, eurocars are basically known for being expensive and impractical, so why bother right. 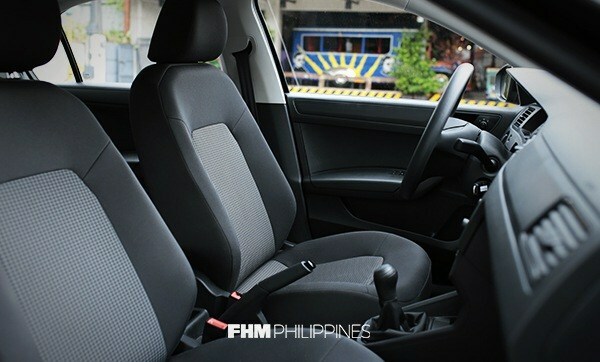 So we all remained oblivious to the German brand until they brought in the very affordable P686,000 Santana MPI MT Trendline. Now we can suddenly cross shop a VW with the usual suspects. Is it good though? Here's what we learned from our time with your potential first Eurocar. Yes, it's a China-market model, but it's still built to Volkswagen spec—just like how you wouldn't be complaining about where an iPhone was built. It feels sturdy, something you'll notice the first time you heft open one of the Santana's doors and close it with a meaty thump. 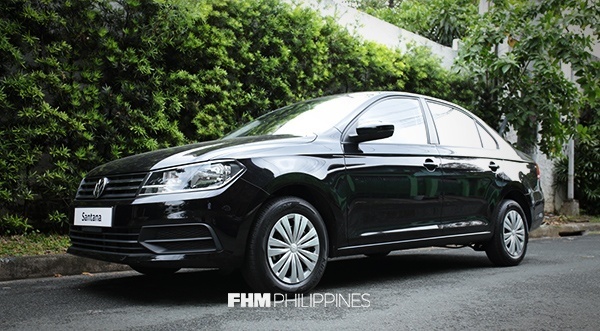 The exterior design isn't wild at all, which is exactly why people buy Volkswagens in the first place, and it still stands out on our roads by simply being a Volkswagen in the Philippines. 90 horses and 132 Nm of torque isn't going to set anyone's hair on fire but the engine is quiet and efficient. We covered around 150km of mixed highway and city kilometers in a week and only hit the 3/4th mark on the fuel gauge—super unscientific but hey, that's how a lot of people like to quote mileage anyway so you can't get any more real world experience than that. The clutch is light and the transmission slides into gears with just the right amount of notchiness and weight—these Germans are really good at making gearboxes and it's probably the technical highpoint of the Santana. The only downside is the gearing of 1st takes a bit of getting used to as it feels taller than your usual primer and we stalled the car more than once. Noob, FHM? Thanks to globalization, all car interiors are alike really so no European weirdness to be had here. Small details we like though: the little cutaway for the LED turn signals on your side mirrors which gives nice feedback to flicking the lights on, the red-orange hue of the info display (easier on the eyes than blue), and plain gauges with no gaudy lighting or stickers. Reverse is also push down and to the left of first, but it'll take all of a day to remember that. The cloth seats are surprisingly soft and comfy but the rest of the car is utilitarian hard plastics, but what did you expect for 600 grand, fam? Otherwise, visibility is good, space isn't too limited, and the aircon blasts cold (very important). Oh and it only comes in white, grey, silver, and black so if you like color maybe you can just wrap it in foil or something. When shopping for a first car at this price point, you're basically okay with giving up all the frills in exchange for fuel economy and no hassle operation. With that in mind, honestly, there is no reason to kick the Santana from your wishlist aside from the fear of the unknown (aka dealing with a European car). “Mahirap piyesa!” and all that jazz. With once-every-10k maintenance though, the Santana will probably outlast your first-car stage with lots of life left on its little 14” wheels! 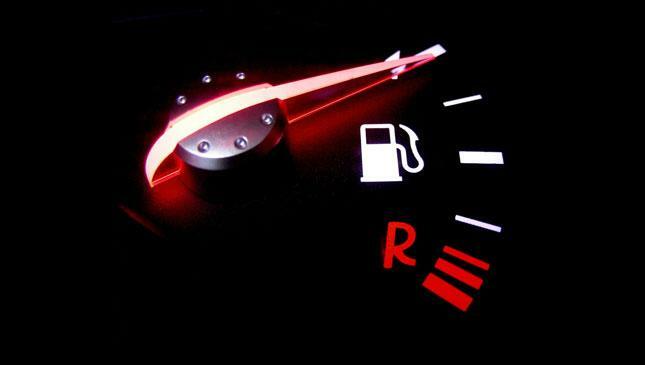 How Much Does It Cost To Fill Up A Big Fuel Tank In 2018?